In this paper we propose a dialogue act annotation system allowing ranking of communicative functions of utterances in terms of their perceived importance. It is argued that multidimensional dialogue act annotation schemes, while allowing more than one tag per utterance, implicitly treat all functions as equally important. Consequently, they fail to capture the fact that in a given context some of the functions of an utterance may have a higher priority than its other functions. The present approach tries to improve on this deficiency. 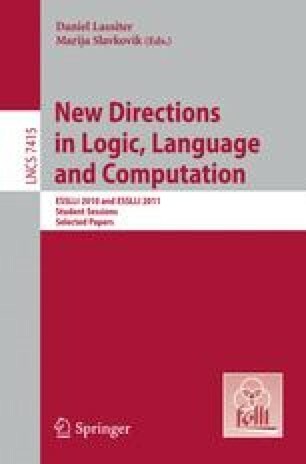 The results of an annotation experiment suggest that ranking communicative functions accurately reflects the communicative competence of language users.